What is black mold ? Molds are a type of fungi and they reproduce by forming spores. They can grow inside and outside your home. They love warm, damp, and humid environment. Black mold is one of the common types of household mold. Where can you find back mold? Smelling a mold odor – You will notice the presence of mold at home because of mold odor. If you notice an unusual smell, then you have to conduct a thorough home inspection before the problem gets worse. Visible mold growth – If you can see visible mold growth, do not ignore it. Even the smallest amount of mold can grow into something bigger, which could result to even bigger problems. Kill black mold using bleach – Bleach is effective in killing mold and other microorganisms like bacteria and fungi. However, it can only be used on black mold residing on a non-porous surface. It will not work on removing mold on porous materials like drywall and board. Use borax – It is less toxic as compared to bleach and can be used to kill black mold on porous surface. To use the borax, you have to mix it with water and put in a spray bottle. Spray in areas where black mold and other types of mold reside. Leave the borax mixture for about 20 minutes and wipe the area to thoroughly remove black mold residue. Use tea tree oil – This essential oil is known for its antibacterial and antifungal property. It is very effective in removing black mold. A small amount of tea tree oil is effective in removing black mold and other types of mold. A mixture of vinegar and baking soda – These ingredients can be easily found in your kitchen. Don’t you know that you can use them to kill black mold? Prepare a cup of vinegar and mix with two tablespoon of baking soda. 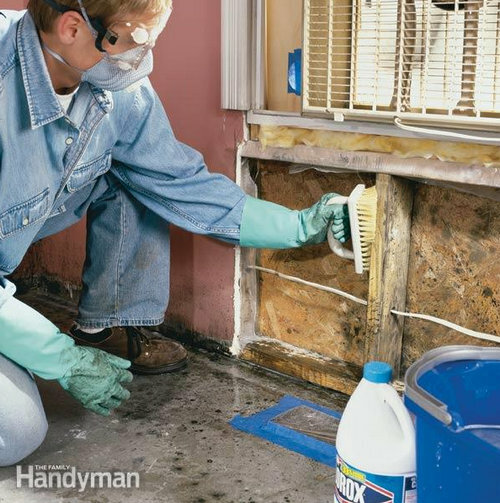 Put the mixture directly on the black mold infested surface, leave for a few minutes, and brush to thoroughly remove the colony of black mold. Black mold should be thoroughly removed including the spores. If you won’t be able to get rid of spores, then expect the black mold to form a colony again. Precaution should be observed too or else you will end up with allergic reaction. 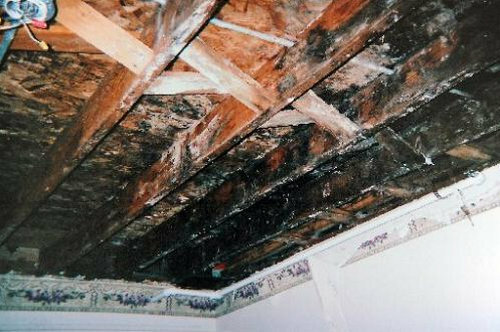 This is the reason why many opt for professional toxic black mold removal. There are a lot of companies out there specializing in mold removal. They have the right equipment and chemicals that will thoroughly get rid of mold in your home. How to prevent black mold in the household? You have to control the moisture in your home. Mold loves to reside in moist and warm environment. Avoid things or scenario that could lead to moisture build-up such as a leakage in the plumbing system. If you notice any leakage and damage to the structure of the house, you should have it repaired right away. During summertime or when the weather is humid, you have to use air conditioner or air dehumidifier to somehow prevent the build-up of moisture. If you are living in a humid place, you should not use carpet as it can trap down moist. Keep your house well ventilated. Use paint that has mold inhibitor feature. You can also add a mold inhibitor substance to the paint.